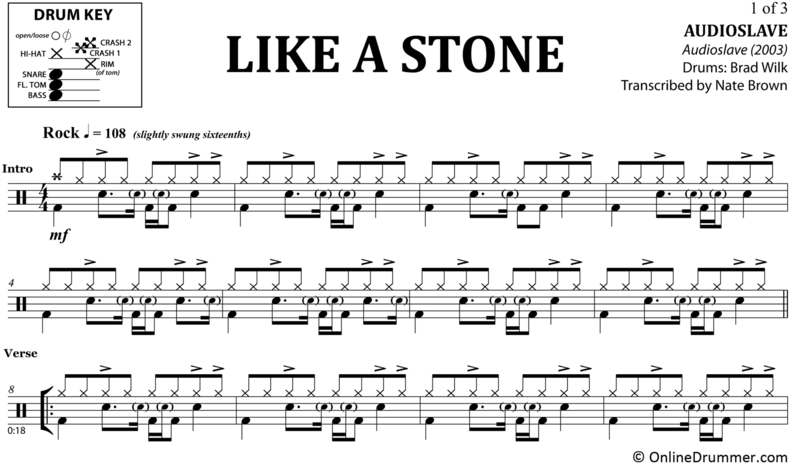 The full drum sheet music for “Like A Stone” by Audioslave from the album Audioslave (2003). Brad Wilk uses slightly swung sixteenth notes and uniquely accented hi-hat dynamics to drive this song. During the choruses, Wilk uses two levels of hi-hat accents, indicated by a marcato in the sheet music, which is a stroke played louder than a regular accented stroke.